The future is a consequence of the present, of our traditions and our country’s DNA. A good architecture takes care of the territory demands and memory, therefore we need to investigate – we need to know and talk to the people who live and remember this territory. Mario Cucinella writes: «We crossed our peninsula in its more intimate part so as to discover new places. The people we met and talked to do not want to leave realities representing the heart of a country that wants to feel alive. In this way, the architects work will gain again political and social responsibilities. Mario Cucinella is the founder of Mario Cucinella Architects, a studio that developed a great experience in architectonic planning, with special attention to the themes of sustainability and building’s environmental impact. In 2012 he founded Building Green Future, a non-profit organization aimed to the integration of sustainable architecture and renewable energies in order to improve life conditions and the access to facilities in developing countries. In 2015 he established in Bologna the S.O.S. - School of Sustainability, specialized in training new professional figures in the sustainability area. 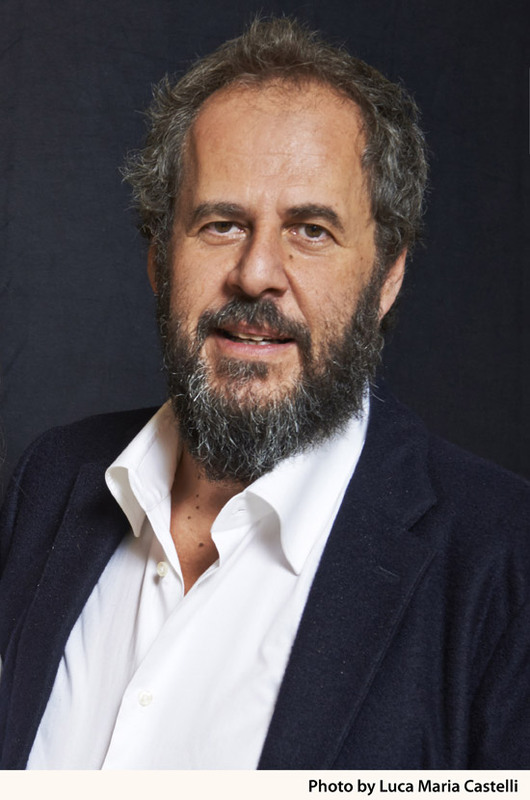 He is the curator of the Italian Pavilion in the 2018 Venice Biennale. His awards include RIBA’s International Fellowship (2016) and the prestigious AIA’s Honorary Fellowship Award (2017).